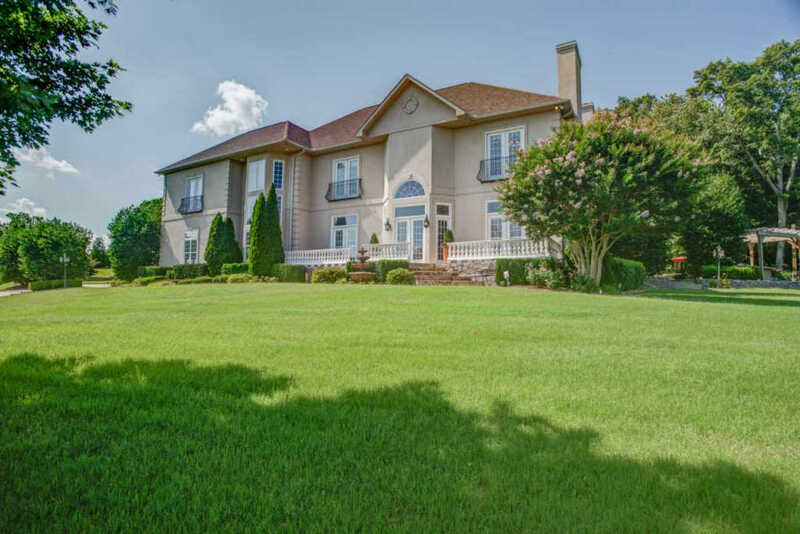 Hand TROWELED STUCCO home has a grand 2 story foyer, arched doorways, coffered ceilings, built ins and 3 fireplaces. Nestled on 2.4 acres you will love entertaining outdoors on your serene rear patio with waterfall, fire pit & outdoor kitchen area. A chefâ€™s dream kitchen with Viking commercial appliances, granite counters, island, wine closet & butlerâ€™s pantry. A 2 story Executive study, fully equipped Media room & Exercise room that could be used as another bedroom. Main level guest suite! Ownerâ€™s retreat features fireplace, sitting area, glamour bath & private deck. Guest house has 912 sq. ft. complete with kitchen, great room & bedroom. 5 car garage. Amazing Views!